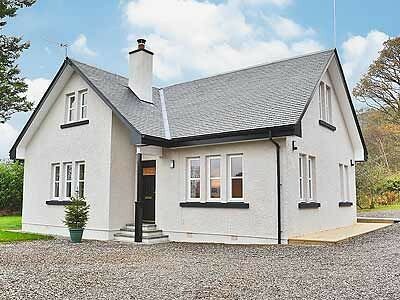 With the River Mar running alongside this cottage, which is within the Loch Lomond National Park, this stylish holiday property is just a short distance from the village of Drymen and the pretty village of Balmaha with its sandy shoreline and marina. Fishing, cycling and walking are all on offer, with the West Highland Way, Ben Lomond and Conic Hill easily accessible. Boat hire is available in Balmaha. Loch Lomond is a short distance by car, with cruises, barbecue and picnic areas, superb golf and spa facilities, Lomond Shores and the aquarium. Other local attractions include Balloch Country Park. Stirling, Glasgow and Edinburgh within easy reach. Shops, pubs and restaurants 1½ miles. Ground floor: Living room with patio doors/dining room. Kitchen with tiled floor. 1 double (5ft) bedroom. Shower room with toilet. First floor: 2 bedrooms: 1 double (6ft), 1 twin. Shower room with toilet. Elec heating, elec, bed linen and towels inc. Cot. H/chair. Satellite TV. DVD. CD. Elec cooker. M/wave. Washer/dryer. Decked area and furniture. BBQ. Ample parking. No smoking. NB: Fenced river 10m from rear of property. 1st comment: Lovely cottage, very warm and inviting, excellent location. Just the waether was not at all good, rain, rain and rain, finishing with gales. Jan 2012. 2nd comment: It was superbly situated overlooking a shallow but fast-flowing river and the cottage was very comfortable. It was also splendidly equipped with every necessary kitchen item. The showers were new and worked well. We met the owners who came immediately to attend to a minor electrical problem and they were both charming and helpful. The property is on the quiet side of Loch Lomond and the road past it leads to a small marina and goes no further - hence not much traffic. And we never even saw a midge! July 2011. 3rd comment: Marr cottage is a very nice property. We enjoyed the location greatly. It comfortably fit 2 couples and 2 young children. The setting of the cottage alongside a small river (with a nice deck overlooking it) was lovely (we even spotted an otter and a martin during our stay). 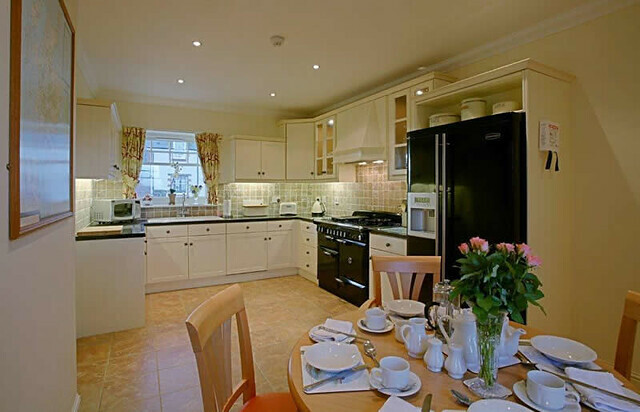 The cottage is furnished comfortably and is impeccably kept. July 2011. 4th comment: Beautiful location. 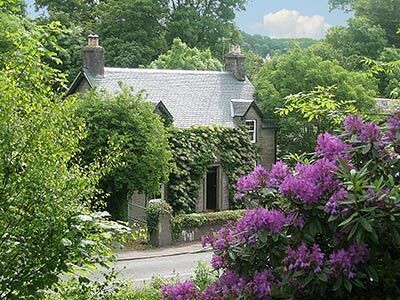 Lovely cottage, would book again. July 2011. 5th comment: The cottage was excellent the pictures don’t do it justice the stream at that ran at the back of the cottage was beautiful couldn’t of wished for a more tranquil spot. June 2011. 6th comment: A beautiful well equipped cottage. 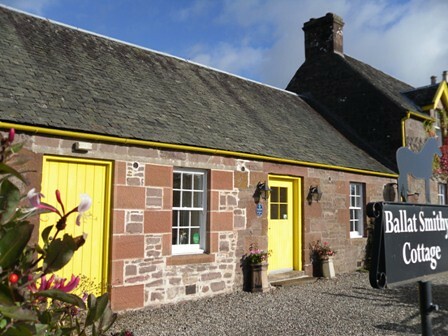 Stunning location and within easy reach of local amenities, comfortable beds and well heated (it was May after all!). Definitely hoping to book again next year! May 2011. 7th comment: Much larger inside than it appeared from the outside pictures. Lovely countyside views whilst very convenient for Glasgow city centre. Feb 2011. 8th comment: Beautiful, cosy cottage in a fabulous setting. Feb 2011. 9th comment: The accommodation had good access it was very clean and warm when we arrived the kitchen was clean and very suitable. Nov 2010. 10th comment: The cottage was lovely. It was decorated neutrally,was attractive and very comfortable. It was spacious, with more than enough room for 6 adults and a dog! Marr Cottage was very well equipped including everything you could need in the kitchen and there was also a docking station for ipods and sky tv. Just what we needed for a lazy evening after a long walk up the Cobbler! It was wonderful to open the curtains in the morning and to see the stream/river flowing just behind the cottage. Sadly it wasn’t BBQ weather while we were there but it would have been lovely to sit on the terrace, eating al fresco overlooking the river. Maybe next time. We would certainly stay at Marr Cottage again. Sept 2010. 11th Comment It was of a very high standard the best accommodation we have stayed in. Sept 2010. 12th Comment Was very clean and lovely but as we had a some rain during the days we stayed were were unable to use the outside decked area as it was very slippery. Cottage had everything we needed and all aspects had great care and attention. Sept 2010. 13th Comment It had everything we wanted. Aug 2010. 14th Comment Clean and tidy. July 2010. 15th Comment Well laid out and very spacious. Loved funky decking over river. July 2010. 16th Comment The property was lovely, well furnished and comfortable. The outside balcony was very useful for BBQs and had a very nice view overlooking the river. June 2010. 17th Comment Wonderful living space, enhanced by balcony overlooking the river. May 2010. 18th Comment The accommodation was very good and was as advertised on the web site. It was clean, tidy and well decorated. No problems. April 2010. 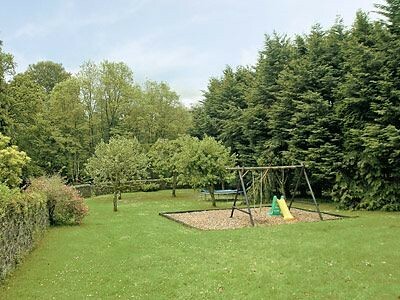 19th Comment The property was furnished to a high standard and made our stay extremely pleasing. The decor was excellent, plenty of lighting, heating and extremely clean. Feb 2010. 20th Comment Ideal location for touring Loch Lomond National Park. Feb 2010.